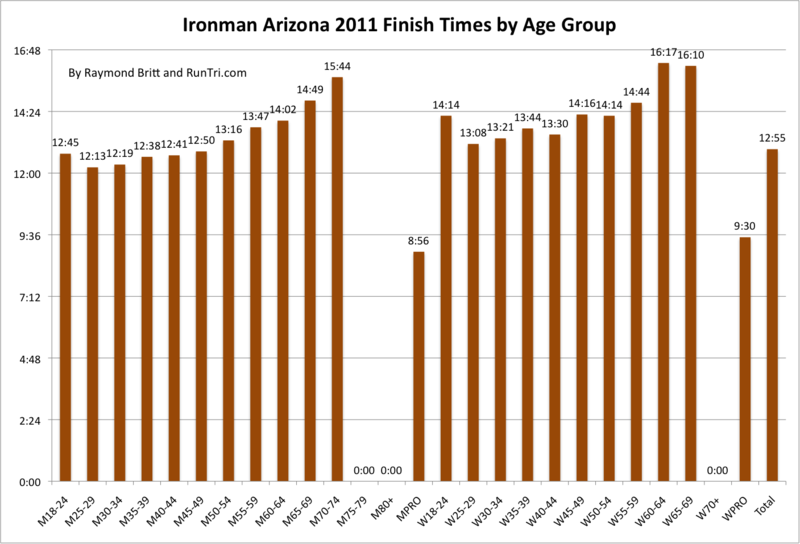 More than 2200 triathletes completed the 2011 Ironman Arizona in an average finish time of 12 hours, 55 minutes. 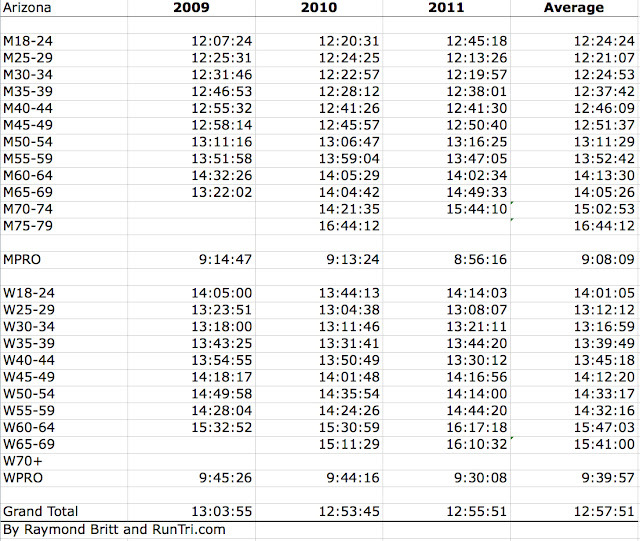 Of 2974 registered to compete, 21% did not start; of those who began the race, 6% did not finish. At an average finish time of 12:57 overall from 2009 to 2011, Ironman Arizona remains ranked in the middle of RunTri's Toughest 25 Ironman Races list. 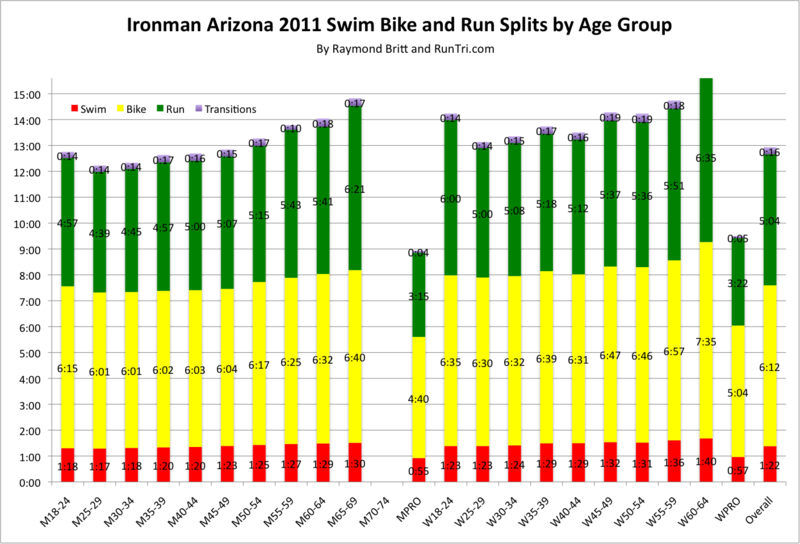 With a welcoming flat and fast bike course, the average bike split is only 48% of overall time (50% is the norm), but time advantages gained on the bike are lost on the run. 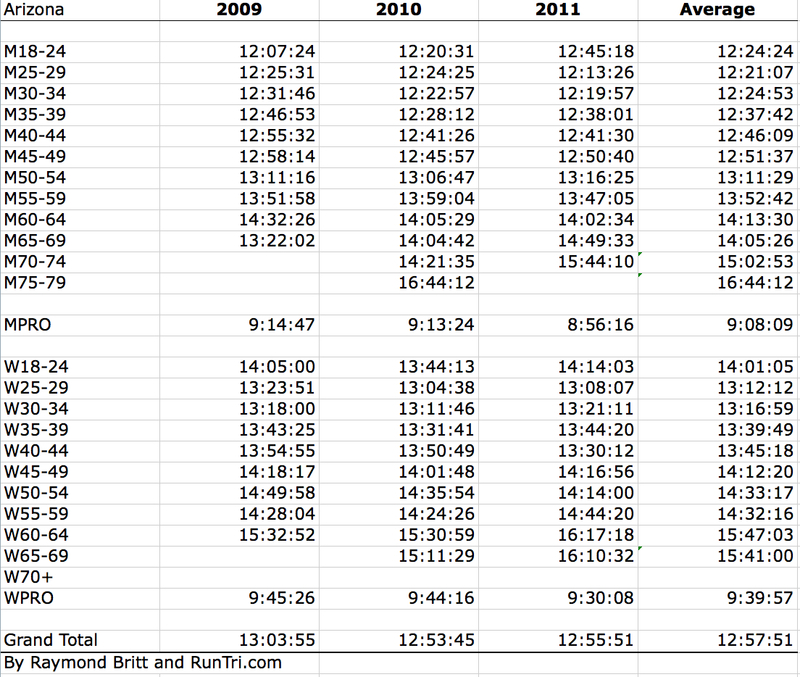 The average 26.2 mile run split of 5:04 is among the slower one compared to 25 Ironman races. 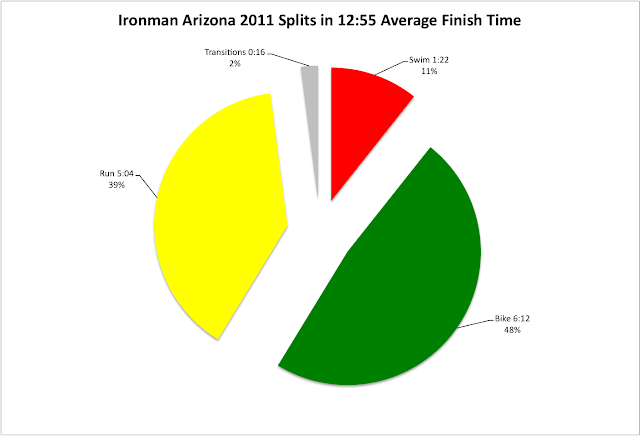 Compared with Ironman Florida, Arizona's marathon split is 10 minutes slower and those 10 minutes represent the gap between finish times of both races. For more, see our complete Ironman Arizona coverage.